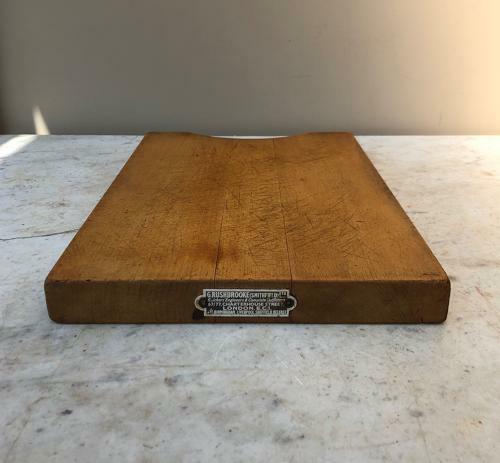 Mid Century Handy Size Chopping Board with G. RUSHBROOKE (LONDON) LTD. Plaque to one end. Handy string to carry. Nice size for the kitchen.